The US dollar has fallen to a new lows after the short US Government shutdown and US Treasury Secretary Steven Mnuchin has told the international community in Davos that the "weaker dollar" is good for the United States. One interesting repercussion of the weaker dollar in the tech world is the growing difference in the cost of phones in the US and in other countries. The iPhone X - as the most expensive mainstream phone out there - is a great illustration. In the US, an iPhone X costs $1,000 for the base 64GB model and if you add an average state tax of 8%, you end up paying around $1,080. In Europe, the VAT tax is included in the price of the iPhone X and the total cost of the phone is €1,150. The two sums would be very close if the dollar was equal to the euro, as it was just a couple of years ago, but with the current weaker dollar, the US price of the iPhone is nearly 25% lower than the price in Europe. This means that if you were a traveler from Europe coming to the US with more valuable euro currency, you would save €280 euro if you buy an iPhone X in the US. And yes, this could be half the price of a ticket. And if you shop from a tax-free state like Delaware, you can save €360, meaning that you pay 30% less for that iPhone. So if you are looking to buy an iPhone or really any other expensive phone in Europe right now... well, you might as well save up the cash and go on a trip to the United States, the land of... cheap phones. It's always cheaper in the US! Actually that changed just recently..so far only for the iPhone X.. U bough mine here at the carrier store.. As an upgrade . And i got my iPhone X 256gb for US$1085.. I was thinking to buy it in the USA during my next business travel..but it ended up being cheaper in Peru.. And all phones here sold by any carrier are unlocked by law..
What a bloody theory! Allow me to debunk it. You're missing one important thing here, gents. And that's: "Inflation". If The USD was stronger; then the product would've been priced accordingly. Everything would be cheaper for US Consumers as it would be cheaper for Apple (or any other manufacturer) to buy raw materials, labor, wages, rents and other tidbits of similar nature. So, if The USD was comparable to Euro; then you better believe that The iPhone X would've cost around $800 in that 'alternate reality' and there would STILL be a 25% difference between American & European price-tags (Provided the rate of inflation remains constant in Europe in that alternate reality). Unless you believe that Apple is so GREEDY that it would've sold it for $1,000 anyway! And I'd like to meet that 'genius' who came-up with "weaker dollar is good for the United States". Weaker currency = Inflation. And inflation is like stealing from your citizens without them realizing it. Our bank balances remain the same; the amounts of our money we have been saving for a rainy day remains the same while at the same time is LESS worthy then it used to be. Weaker currency will only bring more inflation; and I read it when I was a first year college student. You may not see it now as it takes time to come fully into effect, but you surely will, I'm afraid. What kind of people are running America, I wonder? My thoughts and prayers go with you, Americans. G'Day! Economics is complicated. Certainly not enough with just little reading many years ago. I myself dont understand and always want our currency strong. Stronger currency is good for import but not for export. So I'd say your above explanation is just layman's thought. The best thing about iPhone X was the signal sent to the lazy Android manufacturers. I am now waiting to the chin-less Essential PH-2. Otherwise, the lack of a fingerprint scanner and notification LED or Always-On Display makes it only suitable for addicted teenagers and people having enough free time to check their phone every 5 minutes. 1150eur here for 64gb model. The base salary here is 800eur. No my tiny country does not represent the whole Europe in terms of sales, but seriously I have yet to see a single person on the streets or at a cafe with an X. Here in the UK I have seen only a couple of ppl with IPhone X but they are all Asian or Indian-looking. 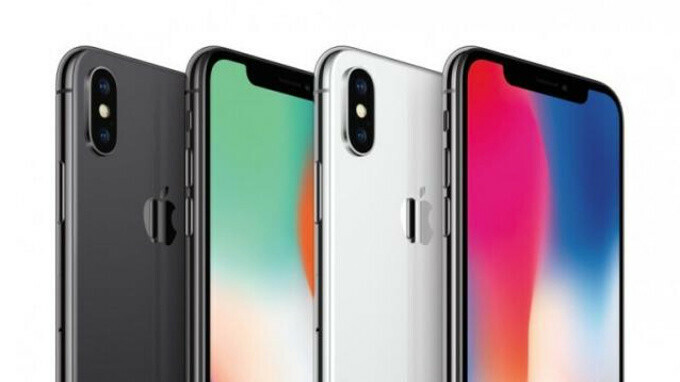 I mean half the country here has iPhones, I have seen plenty of 8's but not a single X. I am sure in USA and other countries it has sold in millions but something tells me its not doing as well as Apple hoped for. Don't worry, their sales really plunged like all analysts say, the price increase didn't fool customers. They will lower their prices much sooner than they did with the iPad. At todays exchange rate if i bought an iPhone X for £999 (UK price) that would equate to $1427. EU should adopt a directive: one can NOT import a product or sell a service created/administered in a non-EU country unless it's base price (the one without taxes) is the same as the lowest price that company sells its good/product. If a company like Apple (Google, Microsoft etc) can sell music services in India with 3€, than it can also sell the same service in Spain and Italy for the same price; if a Pixel is been sold in Peru for 500$, than French people should pay the same price; of course, in EU we add vat to get the final price. lol ... looks like they have too many over.